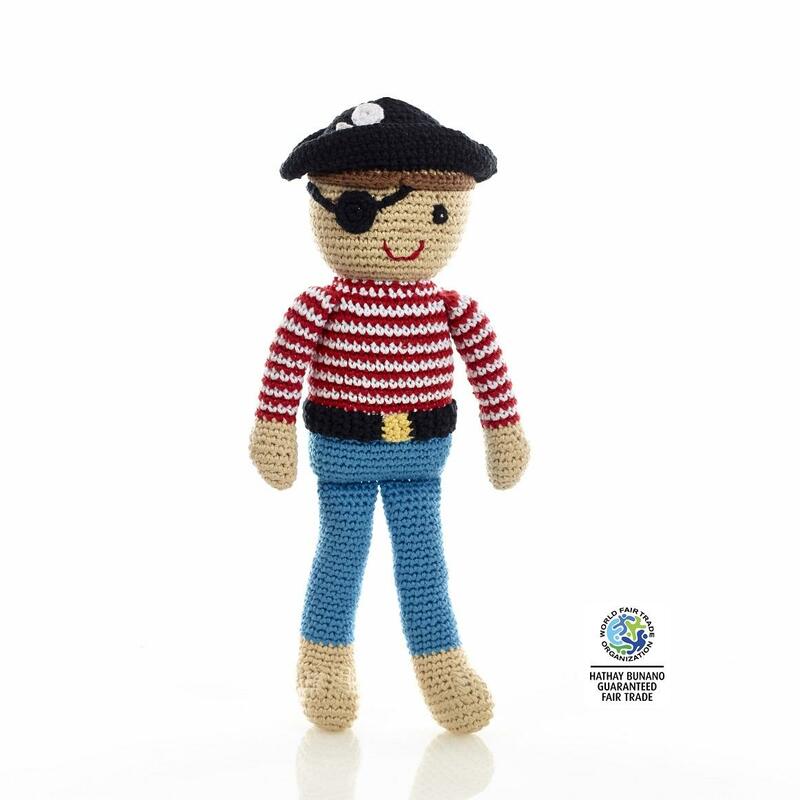 Yo Ho Mateys Away, our pirate soft doll is ready to share swashbuckling adventures. Best Years are a soft toy manufacturer based in the UK. All of our crochet fair trade baby rattles and toys are available to wholesale, retailers and museum customers.